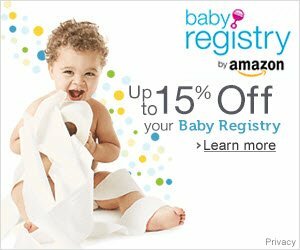 Looking for a green diaper experience? Check out our top tips to help you be more eco-friendly and to further reduce your cloth-diaper footprint. By choosing to use cloth, you are already choosing a green diaper. Cloth diapers reduce landfill waste and prevent dangerous chemicals such as dioxins (commonly found in paper products) from being released into our environment. If you're really not sure if cloth diapers are really better for the environment, read more about cloth as an eco-friendly diaper choice - we think you'll like the idea of cloth even more by the time you're done! Want to be more eco-friendly? 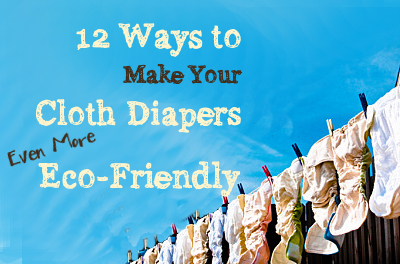 Here's some ideas to help you further reduce your cloth-diaper footprint and “go green”! So, bring it on - an environmentally friendly diapering experience! Try buying or selling used cloth diapers – try consignment shops, Kijiji and Craigslist or Mom to Mom swaps. While you’re at it, consider second-hand clothing and other gear for baby as well. There are lots of quality used baby clothing and gear stores out there, and many parents are happy to find a new home for their gently-used goods since charitable organizations such as Goodwill often have policies that do not allow them to accept these donations! Choose unbleached and organic materials. Use cloth wipes rather than disposable. You can even make your own cloth wipes - and while you're at it, get a small travel wet bag to take cloth wipes with you on day trips. Line-dry or try a spin-dryer. For eco-friendly power, consider offsetting your energy usage with carbon credits, or source your electricity from a green energy supplier such as Bullfrog. For a really green diaper experience, re-purpose old inserts for cleaning rags, and for natural fiber (cotton, hemp, bamboo, not microfiber!) shred and add them to your compost once they reach the end of their useful life. Consider switching to on-demand tank-less water heaters, which use less energy, and install low-flow toilets to save water when you flush. If you can sew, you can minimize your footprint by your own cloth diapers from re-purposed household materials, including old bed sheets, cotton t-shirts, towels, and wool sweaters. Check out our section on Making Diapers for patterns and tutorials. 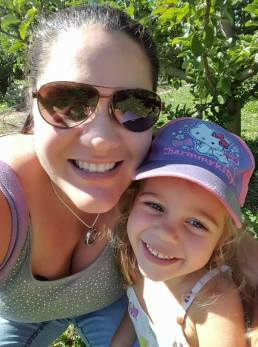 If you found this article, please help us spread the word about cloth diapering as an eco-friendly diapering option! We would love it if you would share this article (and our whole website!) with your friends. Together, through our cloth diapering experiences we can make a difference for our kids and our grandkids! Got more green diaper ideas? Share them in the comments section below! Return to How to Use Cloth Diapers: Learn More.